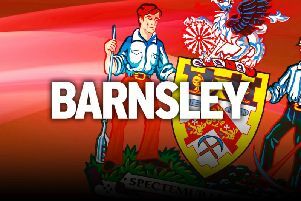 Barnsley skipper Martin Cranie will not be with the club next season. As exclusively revealed in The Star last week, Cranie has not been offered a new deal to stay at Oakwell after his three-year contract expired. And although boss Lee Johnson would have loved to have kept the experienced centre-back, he admitted the player’s wages were too much for a League One club. “Crane’s is a very good player, but he’s on Championship wages and we can’t afford to keep him unfortunately,” said Johnson. “He’s rightly on those wages because of his ability, but we’ve got to take into account Financial Fair Play regulations and building a squad on our budget. “It’s also important we don’t block any young players coming through. We’ve got a great talent in Mason Holgate. Cranie was the big name who was revealed to be leaving the Reds yesterday when the club announced their retained list. Strikers Kane Hemmings and Leroy Lita are also released, along with Jean-Yves M’Voto, Rhys Oates, and Nana Boake-Yiadom. Midfielder James Bailey and striker Milan Lalkovic have both been placed on the transfer list, while Academy players Bailey Good and Matthew Templeton have been offered extended scholarship terms. Defender Lewin Nyatanga and youngster Goerge Maris have been offered new contracts. Centre-back Nyatanga won the club’s Players’ Player of the Season award and has been offered a two-year deal. Defender Peter Ramage has admitted he is unlikely to be at Oakwell next season.